Julian Barnes would be the crane of literary fiction writers in this example. Not sure why my Goodreads review of this collection is suddenly getting some “likes” but I’m thrilled to be taken back this simple, but beautiful thought. I loved this collection of stories and I’m thinking I may need another Barnes fix. Another old Goodreads review that popped up this week. I still haven’t figured out why this short review remains one of my most liked , but since I’ve been thinking a lot about how my sons are too quickly maturing from boys to men, this quote resonates with me. I give them much credit for pushing me right into the future. No surprise that she perfectly describes why I love reading her books so much. Her books engage me on multiple levels with just the right amount of chaos, strength of character and story resolution. This is such a melancholy thought and it’s the one that underlies most of the novel. It’s the flip side of my usual “dare to dream” approach to living. It just made me think. Looking for more great quotes? 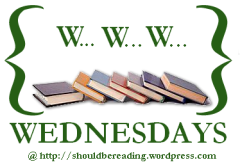 Check out: Thursday Quotables at Bookshelf Fantasies or Every Day Has. You can also find bookish quotes on Book Quotes Hub. What are you currently reading? Learning a lot about Bangladesh and the immigrant experience in The Newlyweds, a good suggestion from a good friend. 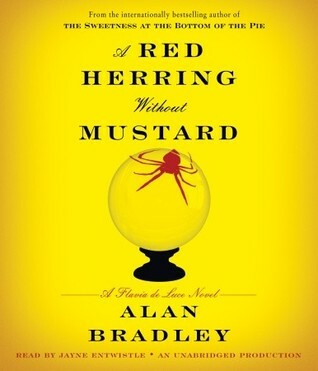 Just started to listen to A Red Herring without Mustard, #3 in the Flavia de Luce series. I adore Flavia and the audio version is perfect for the car – I only wish I had a longer commute. What did you recently finish reading? Finally finished the audio version of The Chaperone. There is so much to like about this book, but ultimately it was too much for me. I wanted a more narrow focus and more about Cora & Louise instead of mentioning every historical touchstone in the 20th Century. Loved The Twelve Tribes of Hattie. Just a beautiful, thoughtful book. It too spans much of the century, but to much greater effect. What do you think you’ll read next? Just received noticed that The Casual Vacancy has finally arrived for me at the library. That will have to be next. My friends and critics I trust are evenly divided on this novel so I look forward to adding my two cents. What are you currently reading? I’m half-way through The Twelve Tribes of Hattie by Ayana Mathis. The book was a Christmas gift, well-chosen and very engaging. 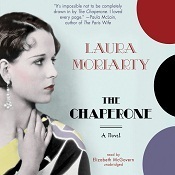 Still trying to finish the audio version of Laura Moriarty‘s The Chaperone. This is a LONG book — really good, but I’m ready for it to be over. What did you recently finish reading? Finished Michael Chabon‘s Telegraph Avenue, which I wanted to love, but didn’t. Despite his often brilliant prose, I found the details and cultural references bogged the narrative down and prevented me from really engaging with the characters. 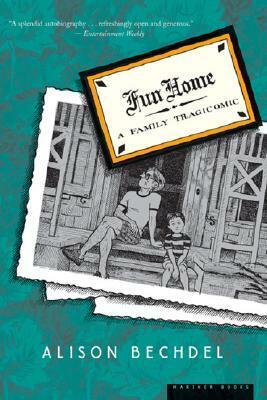 On the other hand, I kicked off 2013 with a graphic-style memoir, Fun Home: A Family Tragicomic. I love a good memoir and Alison Bechdel‘s coming-out story fit the bill, although I’m not sure about the comic-strip approach. What do you think you’ll read next? I’m determined to read Kate Morton soon. I also have an ARC of With or Without You. being released on February 26, that I should read and review. It’s so great to feel like 2013 is wide open with book possibilities. What are you currently reading? I just started Molly Ringwald‘s short story collection, When It Happens to You. It was a very impulsive choice when I saw it on the shelf at the library. I’ve only read the first story, but it’s pretty good so far. For my audio choice I needed an author whose name starts with “M” for a book group challenge. I was hoping for Kate Morton but couldn’t find anything, so I settled on Laura Moriarty‘s The Chaperone. It’s gotten mixed reviews, but I’m pleased to listen to Elizabeth Montgomery reading the novel. What did you recently finish reading? Over the weekend I finished Sebastian Barry‘s On Canaan’s Side, which is just a terrific novel. Thoughtful, intelligent and evocative. Also finished Dennis Lehane‘s Live by Night on audio. Great escape into Prohibition era gangster-controlled Tampa. What do you think you’ll read next? Now that I’ve met my 90-book goal for 2012, I feel like the pressure is off my reading choices. I haven’t put anything on hold, but I may try Telegraph Avenue next. I also want to read Stone Diaries since Carol Shields made my Best of 2012 reading list.